For quite some time, pen companies have been trying to come out with the “superior” ink. And many succeed in varying ways. Every ink has its benefits and faults. The Pilot BP-S (which I can only assume stands for “better pen” as it uses the “better” refill) claims to have a “revolutionary” ink (perhaps when it was first made) that is very smooth and writes the first time. But all my quotation marks just make me a skeptic. Let’s look at the pen. The body of the pen looks like a hyped-up Bic Cristal. 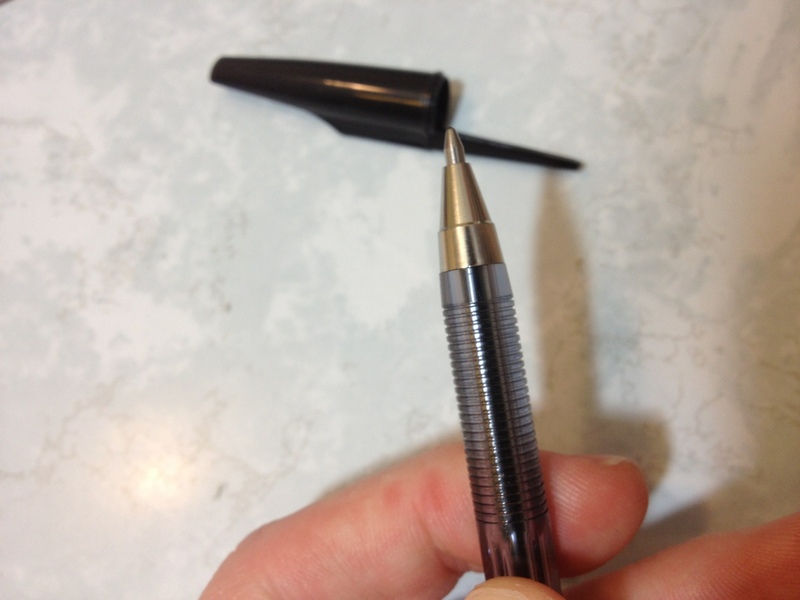 It’s got a similar hexagonal shape, with a black end cap that screws off for easy refilling (with the Pilot better refills). The body is clear with a minor amount of information physically molded into it. It’s enough to tell you what you’re using. The grip is series of tiny ridges that lead all the way to the metal cone tip, and are surprisingly grippy compared to the rest of the pen. The refill in this model is medium, and it comes out a ways beyond the cone. The cap is nothing to write home about, though it does have a flat surface for easy removal, which is nice. On to the writing. I can tell you for a fact that no pen that isn’t liquid ink will write the first time every time, but this one comes close. It does take some pressure to start, usually, and a more constant pressure to continue writing than a regular ballpoint, but the overall experience is smoother. With the right amount of pressure, the ink comes out in a consistent line, and with a little let up, a serviceable one with a few gaps. Neither of these options are more strain on the hand than a regular ballpoint. The ink is black, most of the time. Sometimes it’s more of a cool dark grey. And that’s fine for any office setting, though not really for art. It is also smudge-resistant and water-resistant, like most ballpoints, so it will survive a spill as long as the paper does. Overall it’s a good pen. Perhaps it was better comparatively when it was first introduced. 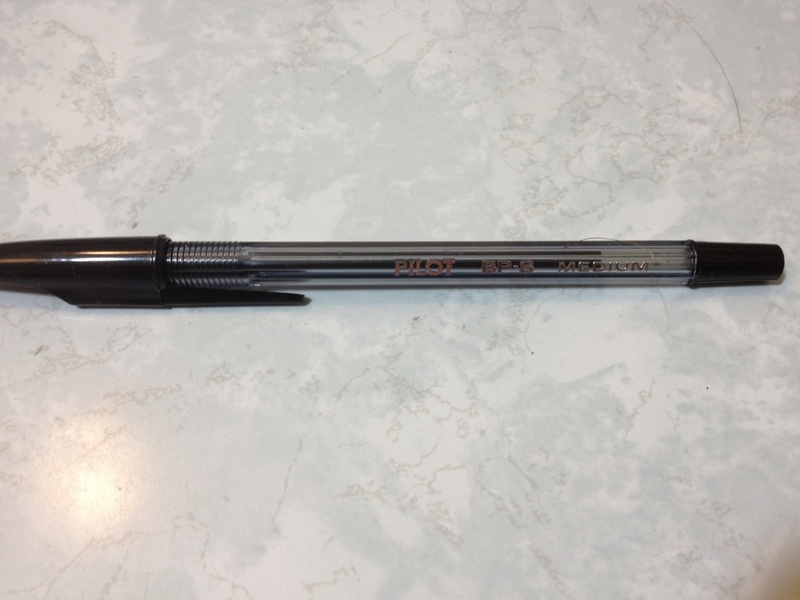 It is nothing terribly special, but it is superior to standard ballpoint offerings from most major companies. Again, just slightly. If a ballpoint is the perfect writing or art utensil for you, but it just isn’t quite smooth enough, these are probably worth a look. They certainly don’t cross over into the realm of feeling or acting like another type of pen, which unfortunately tends to happen with these “smooth” inks.